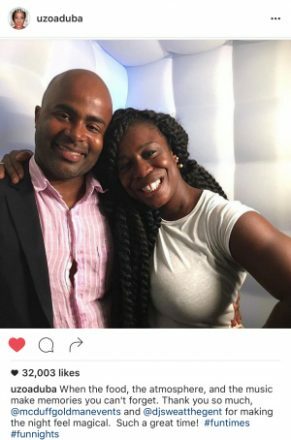 Mcduff was contacted by Miss Uzo Aduba to create an unique event for her and her closest friends. We were asked to to bring in our staff and set up everything food cocktail and dinner for all , decor, etc . The reviews from Ms Uzo Aduba are available on her Instagram. We are proud to have Miss Uzo join our MGE family and are excited to help her out with all her catering and events needs.